Daily Illuminator: Munchkin In Barnes & Noble! December 1, 2010: Munchkin In Barnes & Noble! Needless to say, we're quite happy about our placement on these new racks. More stores carrying Munchkin are more customers that can see, try, and obsess about our favorite game of killing monsters and taking their stuff. But a move like this is not without its potential drawbacks, and I'm sure many of you have already spotted it: how does this affect the hobby game retailer? Considering that a national chain has significantly greater buying power than your average game store, it's a legitimate concern. However, take another look at the photo. Where's Revolution! The Palace? How about Munchkin Cthulhu 4: Crazed Caverns? Heck, where's Chez Geek? They aren't there. Major chains aren't interested in the vast majority of hobby game products, and that's where the traditional game store comes in. 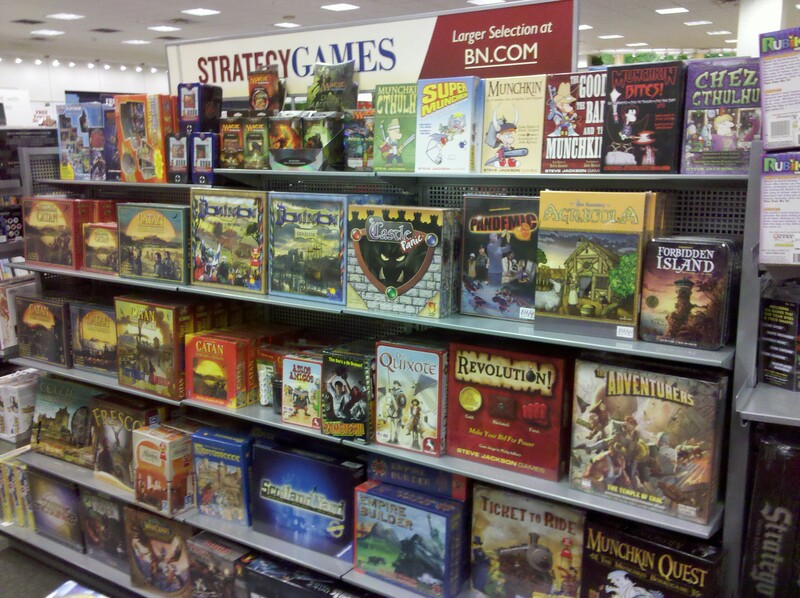 B&N isn't going to stock the supplements and accessories a real game store can, and their staff isn't going to have the specialized knowledge base you'd expect from the gamer behind the counter at your FLGS. 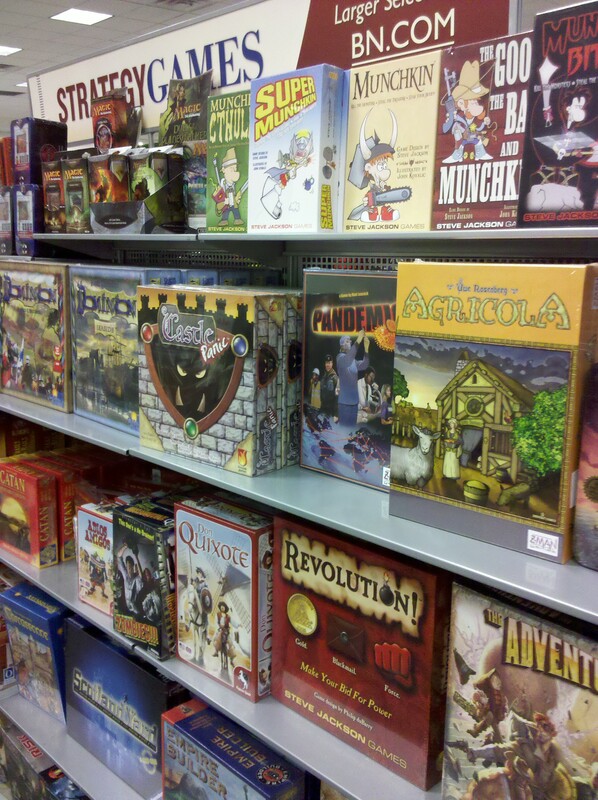 Book chain stores are an opportunity to introduce games and gaming to mainstream customers, but it'll take a hobby retailer to make them gamers. Sure, we're going to continue to pursue the big box stores; that's a market we've barely scratched. But we're going to continue to support the retailers that supported us, with products that make use of the hobby game stores' unique advantages. Together, we can all win.